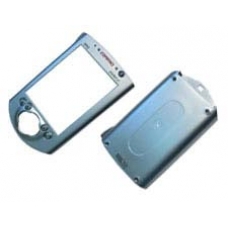 The Compaq iPAQ case repair service involves the replacement the front and rear iPAQ plastic casing. If you have dropped your iPAQ and the front or rear casing is now damaged, this is the repair service for returning your iPAQ case to its former pristine condition. Rear case assembly for the iPAQ, this includes the sticky mounts for installing a battery. Brand new rear case spare par..
Front case assembly for the iPAQ, this includes the power and four action buttons but not the main joypad. Brand new fro..